Supporting learning and innovation in the communities where we live and work is an important part of our community investment strategy at ConocoPhillips. For many years, we have been a strong supporter of Arts Commons, and on September 17 Arts Commons announced that ConocoPhillips is the new Naming Sponsor of the ConocoPhillips Hub for Inspired Learning. 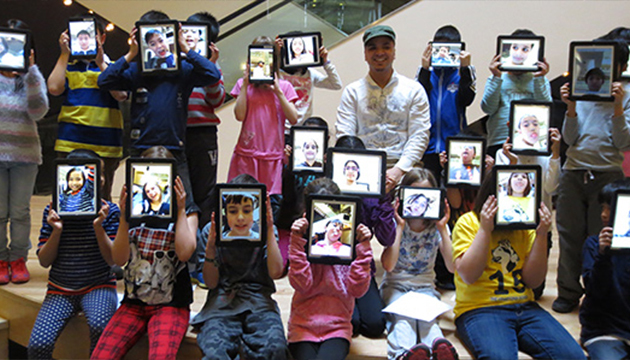 Delivered in collaboration with the Calgary Board of Education and the Calgary Catholic School District, the Hub seeks to address the needs of 21st century learning through an innovative curriculum-based program that moves the classroom into Calgary's premier arts and cultural setting for a week. “We are pleased to support the passionate men and women at Arts Commons who provide fascinating, educationally rich environments for local students to engage in hands-on discovery, exploration and reflection,” says Kirk Johnson, president, ConocoPhillips Canada. In preparing for class visits to Arts Commons and the Hub, classroom teachers work closely with the arts community to custom design a week that meets individual class learning needs. The experience is meant to be a catalyst for learning activities that occur throughout the year. The Hub will provide more than 500 students with applied learning and integrated educational programming, including opportunities to develop creative thinking and conceptual learning, cultivate practical problem solving skills and empower personal development. Click here to learn more.